The biceps are a 2 joint muscle – shoulder and elbow joints; it is weak in any actions at the shoulder joint and is the most powerful flexor of the elbow joint. Flexion of the forearm, known as ‘curling’ with a barbell in the hands is an excellent exercise to develop the bicep brachii. 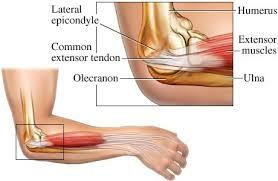 The brachialis is used along with other flexor muscles , whether in pronation or supination. 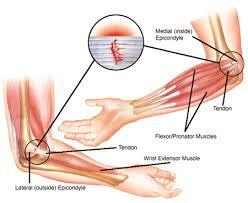 It pulls on the ulna, which does not rotate, thus making this muscle the only pure flexor of this joint.